Build your watch link by link with The LEGO Batman Movie Joker Link Watch! Just like everyone's favorite building bricks, this LEGO watch snaps together and you can add or remove as much as you like! This awesome watch even comes with a Joker link so you can take him on the go! 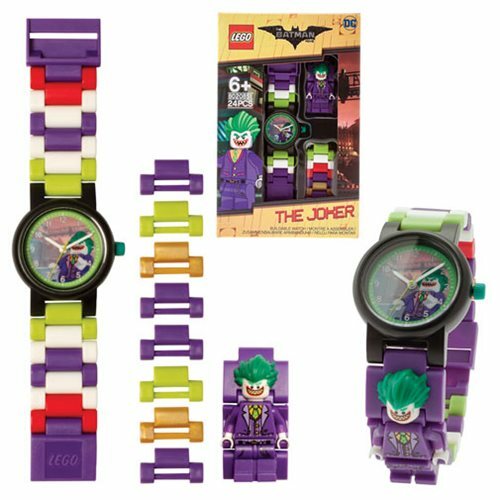 Take your love of LEGO everywhere with The LEGO Batman Movie Joker Link Watch! Watch measures about 5 3/4-inches long x 3 3/4-inches wide and requires 1x "LR44" battery (included). Ages 6 and up. LEGO 70823 The LEGO Movie 2: Second Part Emmet's Thricycle!